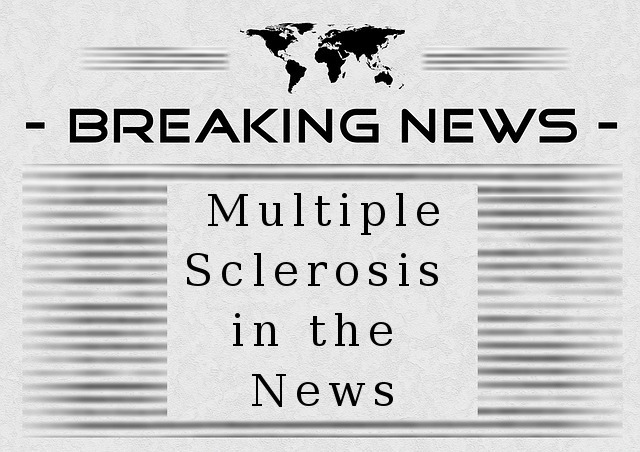 There is so much happening with MS in the news, that we're adding a page just for that. A place to keep up with the newest research discoveries. A place to find out about the latest treatments for multiple sclerosis. Check here for all the news you can use. And if you find news you'd like to share that hasn't been share here, then feel free to add it in the form below. Tell our visitors about what you've found. Hopefully it will help someone to conquer their MS.
Just to get us started here's a list with the latest news about multiple sclerosis. You'll always find up to the minute articles about what's happening with MS in the news. Don't you love reading about the latest news first? Before anyone else? Well I do, anyway. I'm not much of a conversationalist, so it helps to have something new and exciting to start up a conversation and break the ice. If you like learning about new therapies, famous people living with MS, human interest stories about others like yourself with multiple sclerosis, then you'll love coming back to this page over and over. Be sure to bookmark it so you can check back every few days to see what's new. And again, if you find a news article that you don't see listed here, please feel free to add it using the form below. We'd love to hear about it. Your input is a very important and valuable component of this website. I'm sure you will agree, that it would be humanly impossible for us to find all the news on MS as it happens, so that's why we appreciate your contributions. And, of course, you can also add your thoughts and comments about the articles that are submitted already.